During the Second World War, an estimated 140,000 Allied military personnel were captured by Japanese Imperial Forces and held in a network of camps stretching from Rangoon (Burma-Myanmar) down through Malaya, Singapore, Sumatra and across Indonesia. 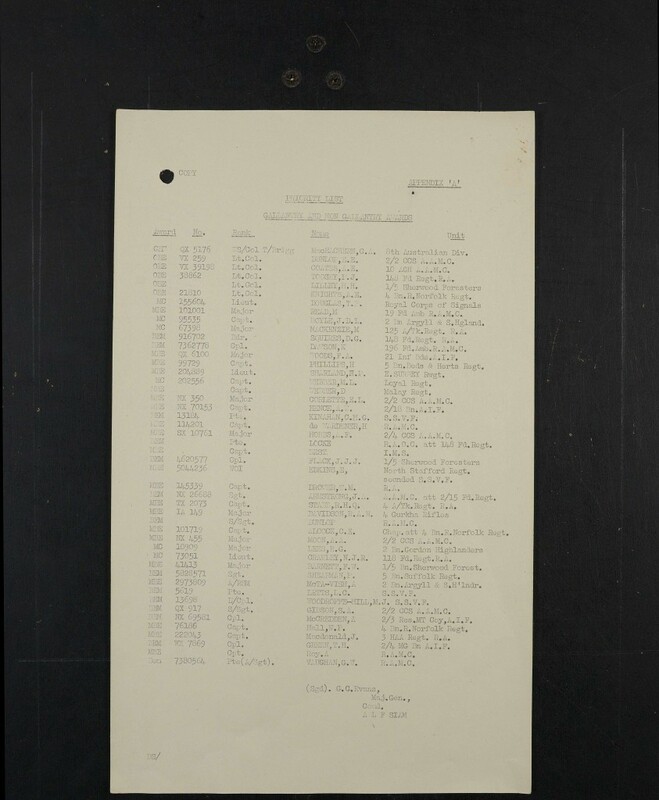 The details of many of these brave man can now be uncovered using our new Prisoner of War 1939-1945 collection; over 1 million fascinating records relating to allied POW's held by Japanese, German and Italian forces in Asia, Europe and Africa. 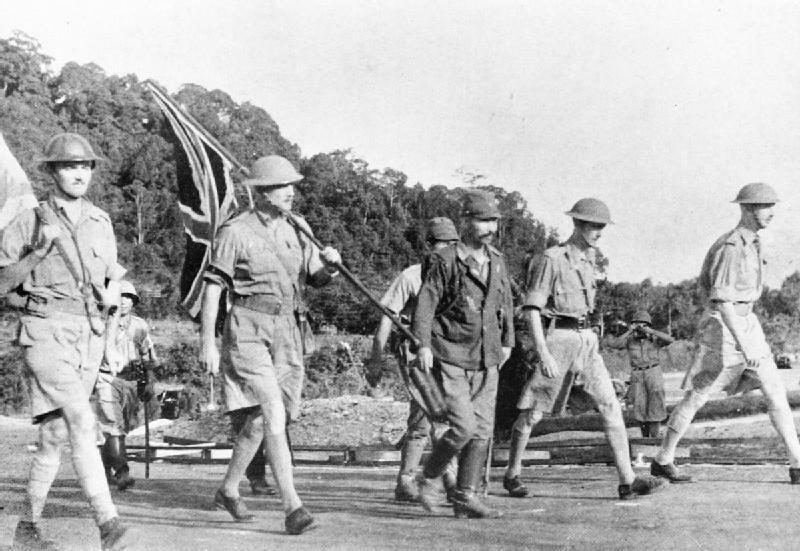 Lieutenant-General Arthur Percival on his way to negotiate the surrender of Allied forces in Singapore, the largest surrender of British-led forces in history, on 15 February 1942. Despite being a valuable source of manpower, Far Eastern POWs were often treated horrifically and the Japanese became renowned for their shocking cruelty towards prisoners. 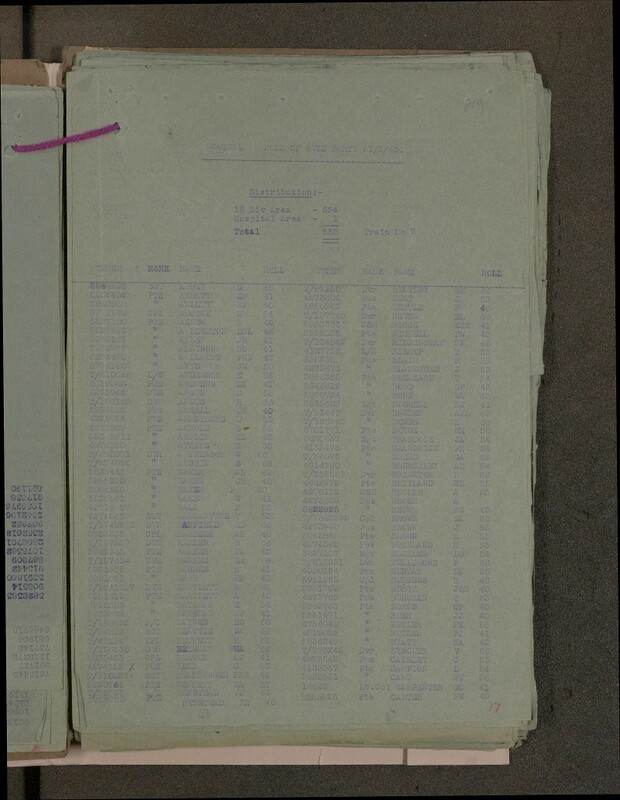 According to the findings of the 1946 Tokyo Tribunal, the death rate of Western POWs in Japanese camps was an incredible 27.1%, seven times higher than that of servicemen held by German and Italian forces. 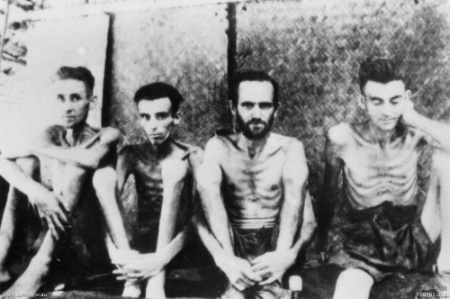 Allied personnel who were unfortunate enough to be captured by the Japanese were frequently murdered, kept in squalid conditions and subjected to frequent beatings, summary punishments, forced labour, medical experimentation, starvation rations and poor medical treatment. The majority of prisoners were put to work in mines, fields, shipyards and factories, usually for over 12 hours a day while surviving on a diet of little over 600 calories. The largest project involving forced labour and perhaps one of the most enduring images of the ordeals faced by Far Eastern POWs, was the construction of the Burma–Siam Railway; a 258 mile stretch of track connecting Ban Pong in Thailand and Thanbyuzayat in Burma. Often referred to as the'Death Railway' due to the incredible number of lives lost during it's construction, the railroad was essential in order to support the Japanese Imperial Army's forces in Burma. More than 180,000 Asian civilian labourers and over 60,000 Allied POWs were forced to live and work in some of the worst conditions imaginable. The Japanese began moving POWs northward from the infamous Changi prison in Singapore and other prison camps in Southeast Asia in May 1942. By October, the first prisoners (3,000 Australians) had begun constructing airfields and other essential infrastructure. In June 3,000 British soldiers (the first prisoners of war to work in Thailand) arrived at the southern terminus of the railway at Ban Pong. 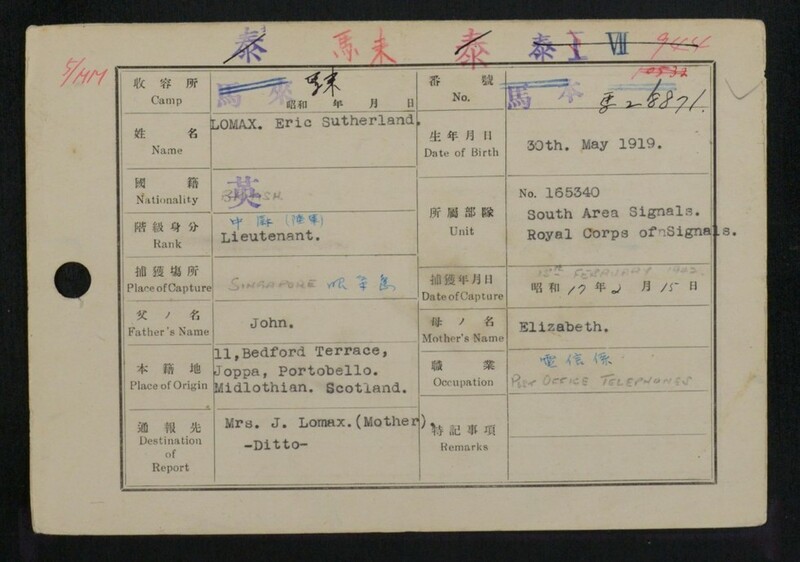 The project was an ambitious one and, as the Japanese military's demand for supplies increased, more and more prisoners had to be imported from Singapore and the Dutch East Indies. 'Construction camps' housing at least 1,000 workers each were established every five to 10 miles of the route to house the growing numbers of slave labourers. These camps were usually named after the kilometre in which they were located and allowed workers to be moved up and down the line as needed. Camps consisted of open-sided barracks built using bamboo poles with thatched roofs that were roughly 60 meters in length. Their raised sleeping platforms housed two hundred men each, providing each man with a two-foot wide space in which to both live and sleep. Working conditions were incredibly harsh as Japanese and Korean overseers expected prisoners to work extraordinarily hard while battling severe maltreatment, sickness, disease and starvation. As the majority of the work took place in Jungle conditions, humidity was constantly high and temperatures could reach 40 degrees C (104 F) at midday. White lice and other insects also added up to the misery the monsoon rains created thick sludge, through which heavy tree trunks had to be dragged. The construction of the railway has been the subject of numerous memoirs, novels and films including the 'The Railway Man', Australian Author, Richard Flanagan's award winning novel 'The Narrow Road to the Deep North' and the celebrated 1957 film, 'The 'Bridge on the River Kwai''. Bridge 277, as it was known by the Japanese, was built over a stretch of the Mae Kong River and is probably the most infamous section of the line. Over 16,000 Allied prisoners lost their lives on the Death Railway. It has been estimated that over 29% of British, 31% of Australian, 23% of American and 19% of Dutch prisoners did not survive while and incredible 90% of the Asiatic labourers perished on the tracks and in the construction camps. Many were beaten, shot or stabbed to death for minor transgressions while even more fell victim to ulcers, malaria, cholera, dysentery, starvation, and exhaustion. The Japanese deadline for the Railway's completion was December 1943. Between April and August 1943 that year, workers were forced to up their pace during the deadly 'speedo' period that saw casualty figures climb even higher. Many of those who died during this period were killed at Hellfire Pass, a rocky and isolated section in the Tenasserim Hills. Sixty-nine men were beaten to death in the twelve weeks it took cut through the rock, and many more died from disease. The railway was completed ahead of schedule on 17 October 1943 but those who survived still had to endure a further two years in captivity before liberation. After the war ended, 111 Japanese and Koreans were tried for war crimes committed during the construction of the railway. 32 were sentenced to death.